Dear readers, do you like to care for yourself? What do you apply? Where to go? I don’t often go to salons, but I love to be pampered at home, as they say. We experiment a lot with our daughters, apply many recipes. Some of them have become a favorite. I tell about them on my blog. We will talk today about garnet masks. (Pomegranate Face Mask ) Have you ever used them? If not, I strongly advise you to pay attention to them. Of course, we can buy many ready-made masks in a store or a pharmacy, but the most effective ones are, of course, homemade masks. Indeed, in this case, you can follow the composition, and be sure that only healthy and high-quality ingredients are inside. What Problems Will The Pomegranate Masks Help Us Solve? ascorbic acid (vitamin C) combats the signs of aging, eliminates fine wrinkles, stimulates the processes of rejuvenation, accelerates collagen synthesis, improves cellular immunity. Subgroup B vitamins make the skin soft, young, elastic, smooth, accelerate many metabolic processes, eliminate post-acne and acne due to the constant renewal of skin cells. niacin (vitam.RR) stimulates, tones, improves the complexion, smoothes even the smallest wrinkles. Calcium has anti-inflammatory properties, activates recovery processes in cells. potassium + magnesium = normalization of intercellular metabolism, the formation of new cells, strengthening the walls of blood vessels. 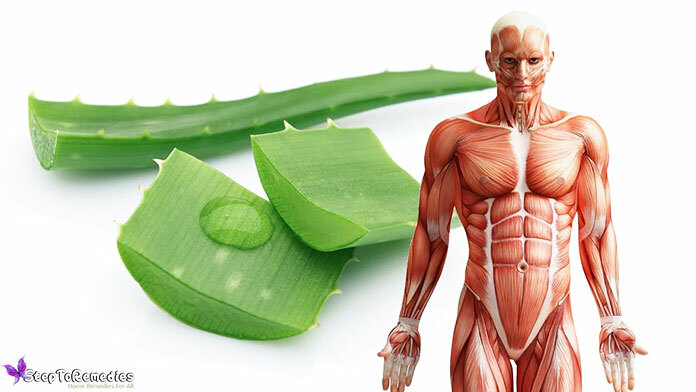 iron tones, tightens, moisturizes, participates in blood formation. Amino acids dry acne and treat acne. There is also information about contraindications. Be attentive to your health. And in the section, you will find a lot of tips on how to choose it, store it, how to quickly clean the grenade, apply it for health. 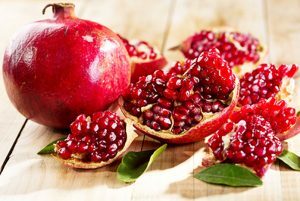 Indications for the use of pomegranate masks: fading, mature, wrinkled, oily, problem skin, acne, pigmentation, yellowness of the skin. 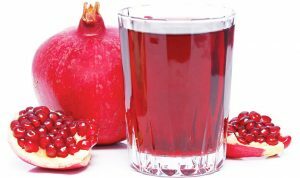 Contraindications: allergic reaction to pomegranate juice, neoplasms, extensive open wounds on the face, inflammatory and infectious diseases of the skin. Action time:- no more than 20 minutes – for oily and problem skin, no more than 7-10 – for dry and flaky. Pomegranate seeds are best crushed and pulped with a blender. For the preparation of masks need to choose a juicy, ripe fruit. Pomegranate mask can only be used on clean skin. If you do not tend to allergies to pomegranate or other unpleasant diseases, you can proceed to skin rejuvenation. It has long been known that pomegranate tightens our skin and significantly improves the complexion. 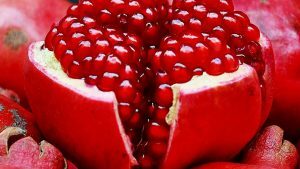 Even in ancient times, pomegranate juice was called the “elixir of youth.” He got this name because of its rich chemical composition: the number of vitamins and microelements in it is very large. 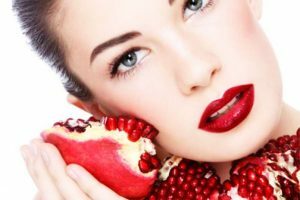 Cosmetologists all over the world say that using masks from pomegranate juice helps to restore the structure of our cells and keep it for a long time. Therefore, more and more often you can see on the shelves in the store beautiful jars with creams, on which a garnet is painted. Coping with problem skin, Acne will no longer bother you. Please note that pomegranate gently and gently cleans the top layer of skin, so for girls who want to get rid of freckles, it is merely necessary. 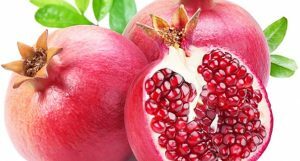 The list of problems with which the pomegranate helps to cope can be continued if all the ingredients are correctly combined and their knowledge in the field of medicine and cosmetology is expanded. So, pomegranate masks will suit any skin. Pomegranate masks for oily skin – the mask will need a whole pomegranate. First, you need to clean and chop the entire peel (for example, in a coffee grinder). It is possible and a grater at the same time to take advantage. Squeeze the juice out of the berries – we only need a tablespoon. Next, you need to beat the egg white and mix with juice. Such a mask is worn from 20 to 30 minutes. In this case, before the procedure, be sure to clean the skin: the best scrub. Wash it off with cold water. To continually maintain this type of skin in good condition – you can wipe your face with pomegranate juice. However, this procedure is a daily one, and it should be done in courses: we do it for 1 month, then more than 2 weeks for rest. 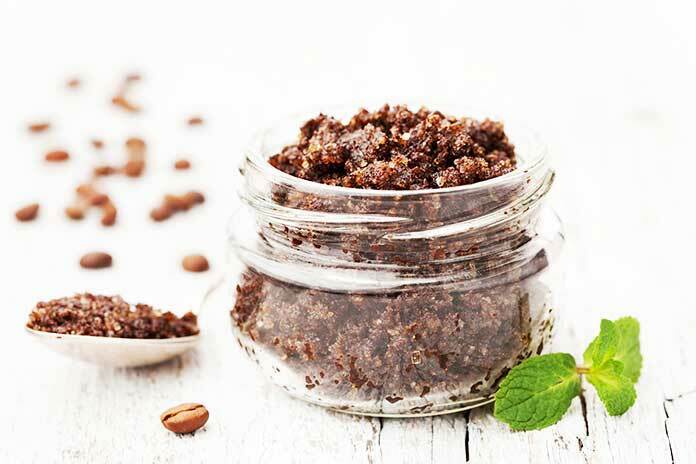 Cosmetologists advise you to make a moisturizing mask, two times a month: mix half a cup of kefir, 3 tablespoons of crushed pomegranate seeds (your favorite coffee grinder will help you) and 2 teaspoons of honey. All mixed and applied to the face. The procedure takes 20 minutes. Wash it off with cold water. Of course, this mask can be used in the absence of allergy to honey and pomegranates. Sour cream is taken in equal proportions (it is necessary to make a product of higher fat content) and pomegranate juice. To them is added 1 teaspoon of vegetable oil. The resulting mask is used to the face and hold for 15 minutes and then washed off with warm water. We treat and nourish the skin of the face with the help of grenades. Crushed grains of pomegranate (1 table. L.) Are mixed with 1 beaten egg white. This pomegranate mask for oily skin controls the sebaceous glands and prevents the secretion of excess sebaceous secretions. The result is a clean, dried epidermis. Mix pomegranate juice (1 table. L.), Ground cinnamon (1 tea. L.), Low-fat sour cream (3 tablespoons). 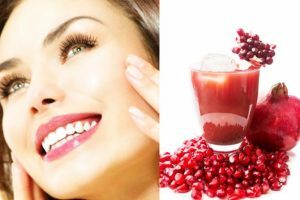 In cosmetology, pomegranate juice for the face is considered one of the best anti-inflammatory and disinfectants, as it contains many organic acids. Therefore, it turns out very useful masks against acne and acne. The recipe for a pomegranate treatment mask against acne and acne: you will need 2 tbsp. of pomegranate juice, add to it 2 tbsp — tablespoons chopped pistachios and 1 tsp lemon juice. After applying the resulting mask, gently massage the face with your fingertips for about 2 minutes, and then remove the residue. 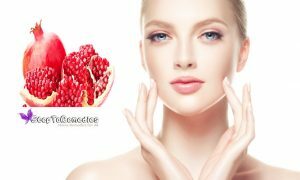 Nourishing mask of pomegranate wrinkles: many are frightened by this change, but its appearance can be significantly postponed. To do this, try the following mask: egg whites are whipped into the foam, and mashed pomegranate berries are added to it (you will need half of the fruit). Apply this mask should be for half an hour so that the skin is saturated with useful substances. Mix the pomegranate pulp (1 table. L.) With fat milk (1 tbsp. Spoon), any moisturizer (0.5 tea. L.), 1 egg yolk. Use such masks with pomegranate in the cold season – and they will become real protection against wind and frost. 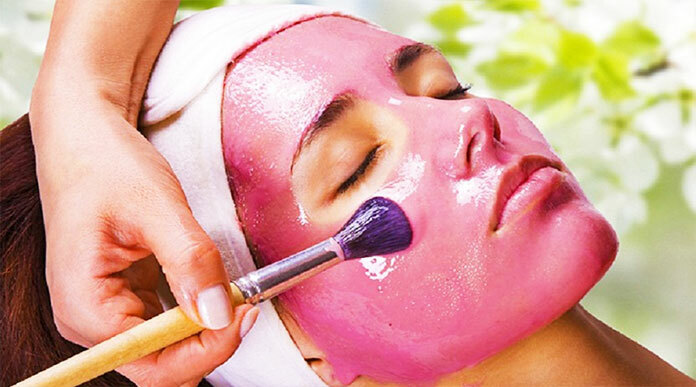 Pomegranate mask against freckles: to clean the skin and make it beautiful, you can make a mask with pomegranate and oatmeal: pomegranate seeds are crushed to make 3 tbsp. They add a glass of cereal and 2 tbsp — spoons of kefir and honey. The effect is swift, so the procedure should take no more than 10 minutes. In equal quantities, pomegranate juice is mixed with natural (not necessarily refined) olive oil. As well as grains, pomegranate juice for the skin of the face is not only rejuvenation but also year-round nutrition with the most useful vitamins and trace elements. 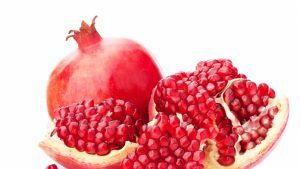 Pomegranate pulp (1 tablespoon) is mixed with lemon juice (1 tea. L.).Now you can check on your practice how useful and practical the pomegranate is for your face by preparing a variety of masks from it at home. Their correct and regular use is the key to solving many cosmetic problems. Be sure to use these properties to look stunning and get rid of unnecessary complexes. The water you wash your face with should be soft so as not to injure your skin. It is best to clean with a decoction of herbs. Do not be lazy. Do it. Choose your favorite herbs. It can be cornflower, chamomile or a series. Then the effect will be much better. Pursuing yourself every day, you can see the results in just a few sessions. The main thing is the desire to make your skin healthy, and yourself happy. Dear readers, The frequency of application – 2 times a week. You can wash with pomegranate juice at least every day if you have a problem or oily skin.